HOT DEAL!!! 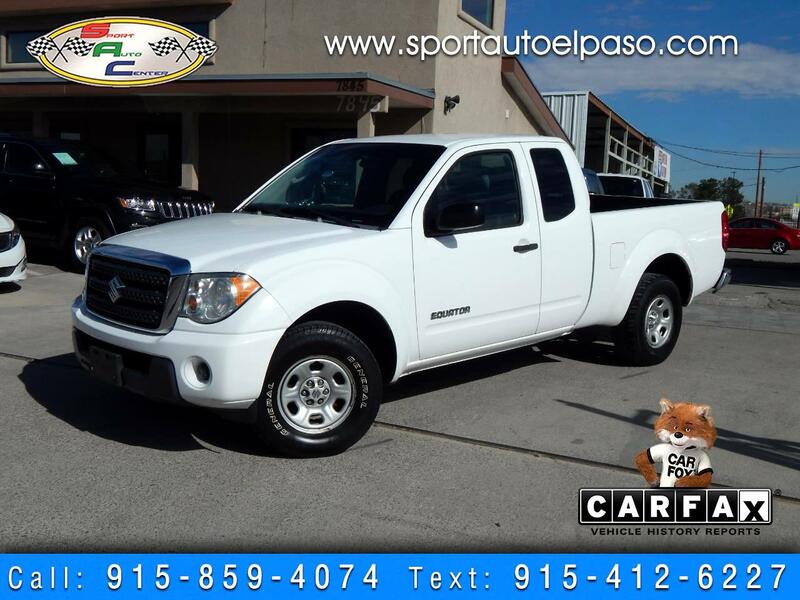 2009 SUZUKI EQUATOR PREMIUM EXTENDED CAB!!!! 4CYL!!!! 5SPD MANUAL!!! CLOTH SEATS!!!! AM FM CD!!! CLOTH SEATS!!! PASSENGER FOLDING SEATS!!!! CLEAN TITLE!!! CLEAN CARFAX!!!! 3 PREV OWNERS!!!! COME TAKE THIS TRUCK HOME TODAY!!!! ez FINANCING FOR ALL TYPES OF CREDIT!!!! ALL UNITS ARE CLEAN TITLES ONLY!!!! !